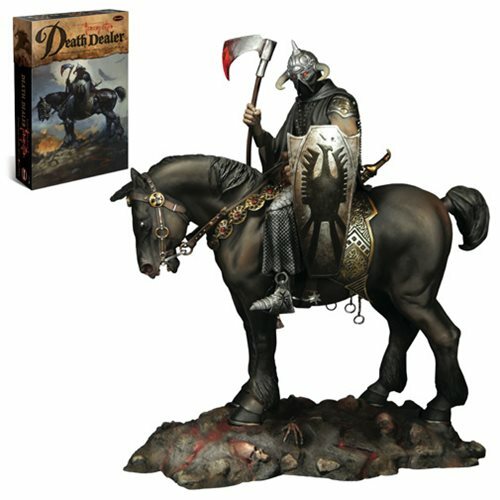 Fans can build their own Death Dealer with this model kit based off Frank Frazetta's iconic image! Sculpted by Jeff Yagher, this 1:10 scale model kit features easy-to-use instructions and requires glue and paint (not included). Ages 15 and up.